This is an exciting thailand fishing trip to a destination approx 1.5 hours drive from Bangkok. We are fishing for BIG SIZE Barramundi (Lates calcarifer) up to 10.00Kg and Fourfinger Threadfin (Eleutheronema tetradactylum) up to 2.00Kg. Mega Fishing Thailand Target species Fourfinger Threadfin (Eleutheronema tetradactylum). 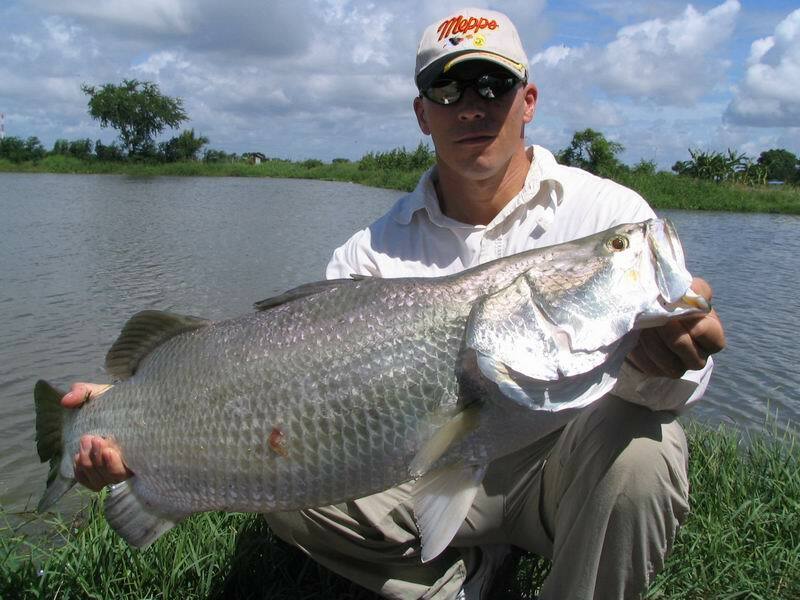 You can target the big size monster barra using lure and fly fishing techniques. FISHING METHOD: Fly and Lure fishing are the techniques at this amazing Barramundi fishing in Thailand destination. On top of the good fishing, there is a restaurant by the water offering some of the most delicious Thai cuisine (especially seafood) one can get. TARGET SPECIES: The target species for this Bangkok Thailand fishing venue are barramundi (Lates calcarifer) and the Fourfinger Threadfin (Eleutheronema tetradactylum).